You’ve been warned, real science follows — Global warming on the moon? How can that be? The moon has no atmosphere. But NASA’s lunar temperature readings prove that behind that smoke was real fire. Some experts now boldly go so far as to say the entire global warming theory contravenes the established laws of physics. How NASA responds to these astonishing revelations may well tell us how politicized the American space agency really is. Stefan-Boltzmann Demonstration VIDEO, using Wolfram software. Having been personally involved with the Apollo ALSEP program, this would be the instruments on the moon, I can proudly say I have directly contributed to the failure of the AGW hoax. The experimental package that I helped design and test was an ALSEP package named CPLEE, which made measurements of the solar wind. The engineering and testding was conducted at Rice University Space Science Laboratory in the late 60s and early 70s. For safety reasons we were not allowed to design the actual flight hardware, but did do the development, the testing and calibration. The Coast Guard: Got to have money for them handouts to Democrat voters. So what, drugs are pouring in, illegals packed 20 deep. He finally finds a federal agency whose budget he’s willing to cut, and guess what. “The elimination of the national command element could well lead to a reduction in core competencies in capabilities needed in a crisis,” said Cmdr. Tina Cutter [in February]. The absence of large spills in recent years has “degraded” the skills of responders, making it more critical to maintain technical experts, particularly in catastrophes, she said. He is so cool under fire, the jug eared jackass doesn’t have aclue. 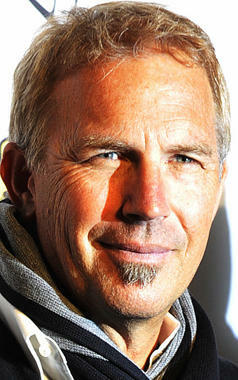 Could Kevin Costner Be The Gulf Oil Spill Hero? Was Waterworld a really good picture? Could be, Costner’s centrifugal separation machine invention is currently being tested by BP(UPDATE: BP says it’s a go, additional techniques still being tested), along with everything else people think will work. The actor has spent 15 years and roughly $26m of his personal fortune developing the patented machine with the help of his elder brother Dan, a scientist. It works like a giant vacuum cleaner, sucking up dirty liquid and then using a high-speed centrifuge to separate it into oil, and heavier water. There are five machines with different separating abilities, from five gallons a minute to 200 gallons a minute. The company says it can build about 4 of the larger machines a month. 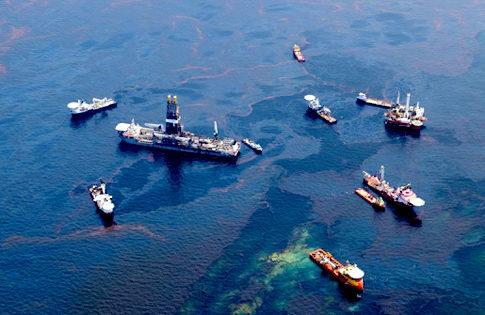 Costner’s involvement in helping solve oil spill crises is not new. The 1989 Exxon Valdez oil spill disaster in Alaska motivated the actor to help fund a consortium of scientists to develop technology that mitigates oil-infected water before it hits the coast. The technology is ready to combat the BP spill, he told reporters last week. It is basically a centrifuge, water separator, which may just work. Cross your fingers, we may know within days if it does. Will Miami Declare Bankruptcy And Start A Nationwide Trend? Somewhere around 30 USA cities are near bankruptcy right now. Looks like the first out of the chute will be Miami, maybe as soon as next week. I keep waiting for some large city to take initiative and declare bankruptcy to escape onerous burden of public pensions, public union salaries and work rules. The city of Miami is in such financial dire straits that commissioner Marc Sarnoff is using the “B” word, bankruptcy. Increases in public worker salaries is one of the main reasons why the budget is so tight. The average salary for a Miami city employee is $76,000. The average salary for a Miami city resident is $29,000. Employee pensions are choking the budget too. In 2000, pension payouts cost taxpayers $16 million. In 2009 that number spiked up to $70 million. Should the city go into bankruptcy, the commissioners and their politics would no longer be in charge of city finances, the judge would be. The Judge could order union contracts be renegotiated. He or she could decide what creditors get paid or not get paid. Recession turning to depression? And the best example of that is what FDR did in the 1930’s. Read about how the rest of the world recovered, while America under FDR stumbled badly. The M3 money supply in the United States is contracting at an accelerating rate that now matches the average decline seen from 1929 to 1933, despite near zero interest rates and the biggest fiscal blitz in history. Since 2003 M3 is no longer published, but private estimates are still available. John Williams monthly reconstruction of M3 is here. Mr Congdon said the Obama policy risks repeating the strategic errors of Japan, which pushed debt to dangerously high levels with one fiscal boost after another during its Lost Decade, instead of resorting to full-blown “Friedmanite” monetary stimulus. M3 is all of the money, everything, where is it, and what is it’s velocity — Right now it’s velocity is damn near zero, the world’s money, it’s just sitting, no one wants to spend it, on anything. Then when people decide to spend their parked money, because it’s value is drying up, then comes hyper-inflation. You are currently browsing the Tarpon's Swamp blog archives for May, 2010.